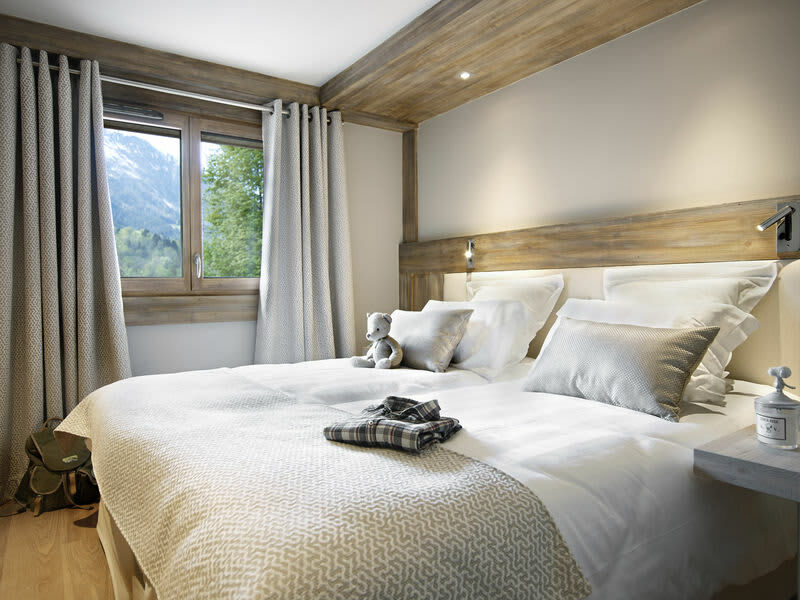 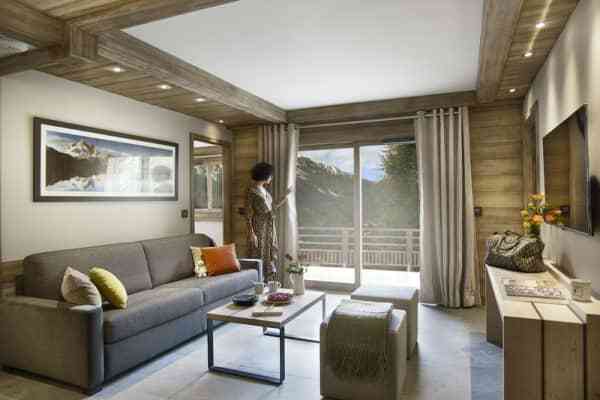 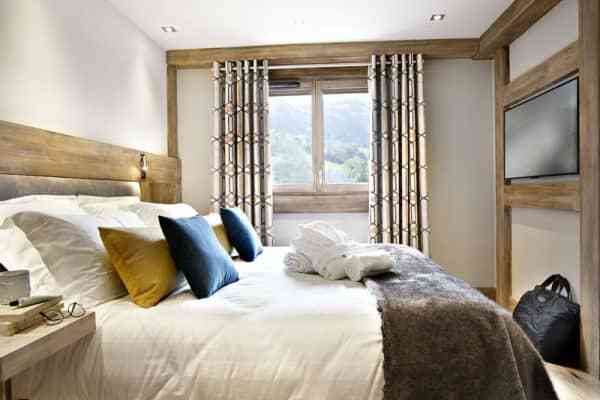 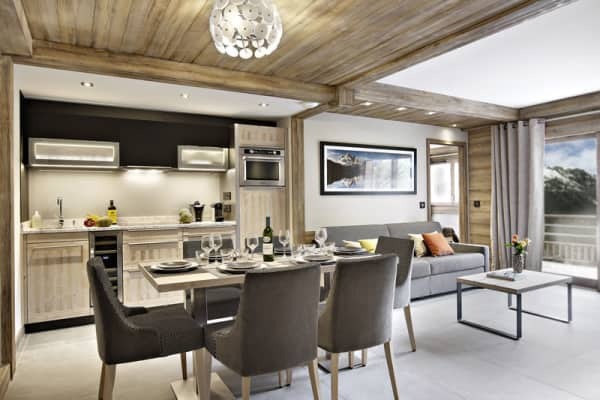 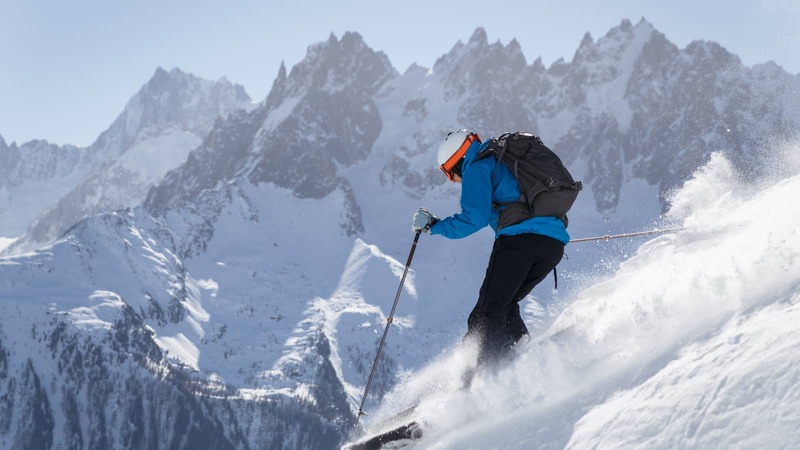 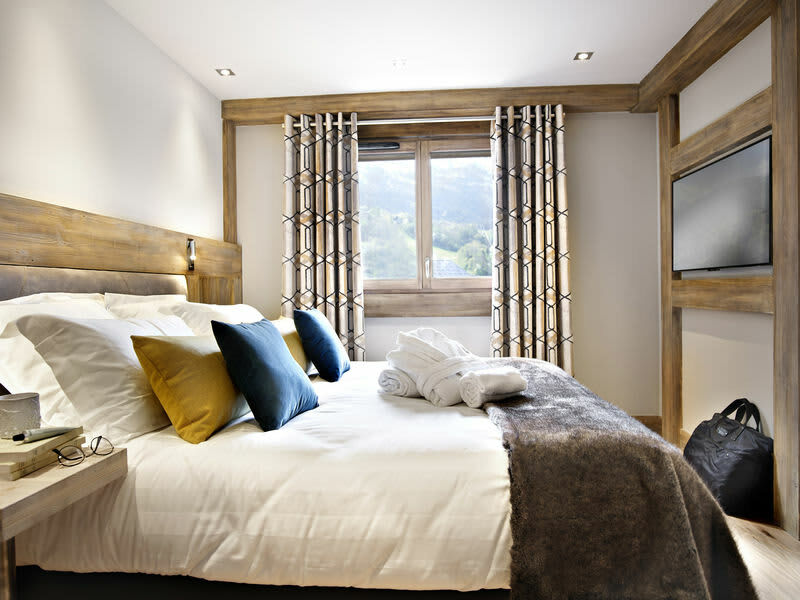 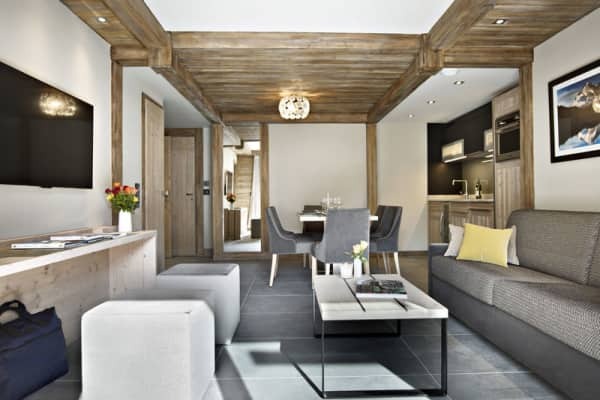 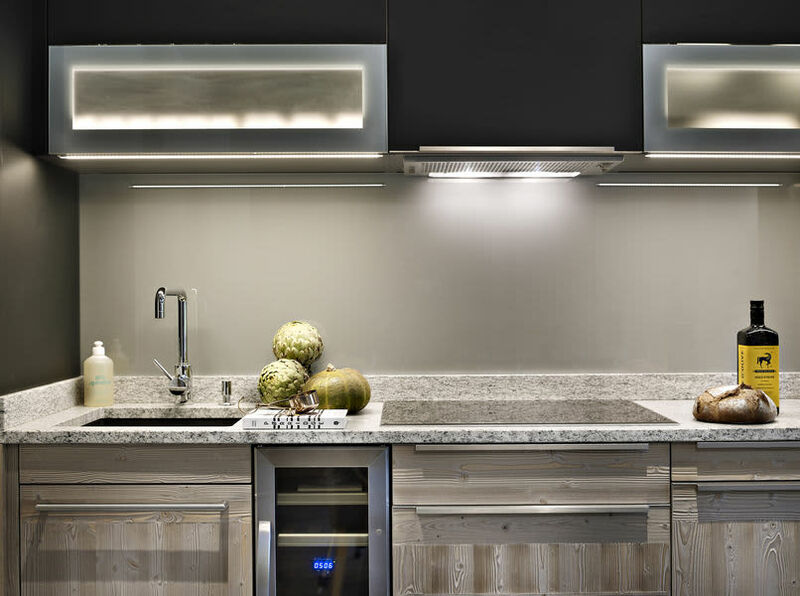 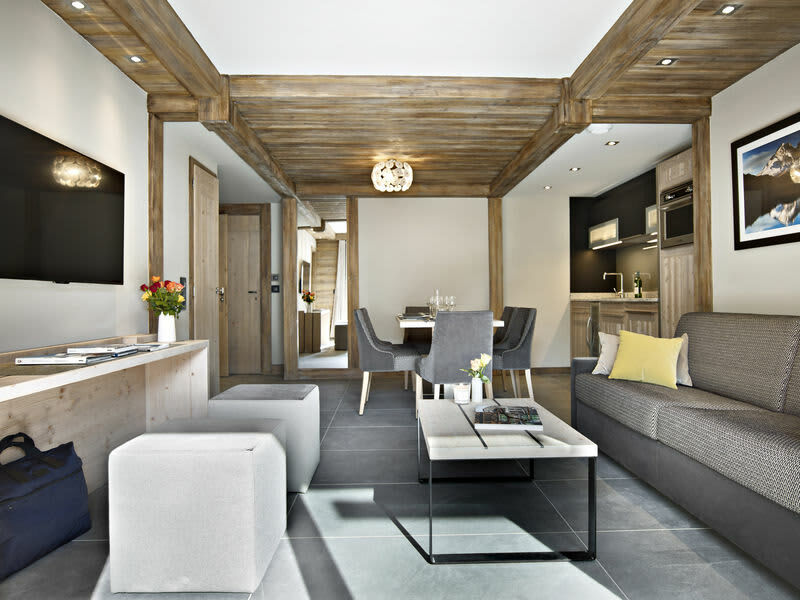 These brand new apartments in the heart of the Mont Blanc Valley are a sleek and stylishly decorated option with direct access to the Les Houches ski area. 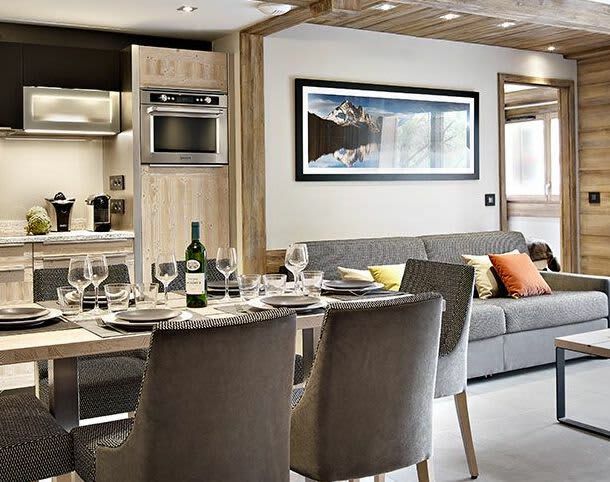 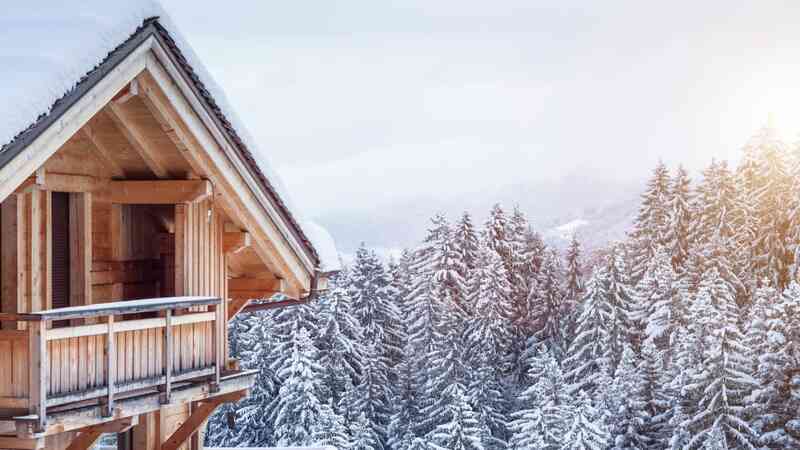 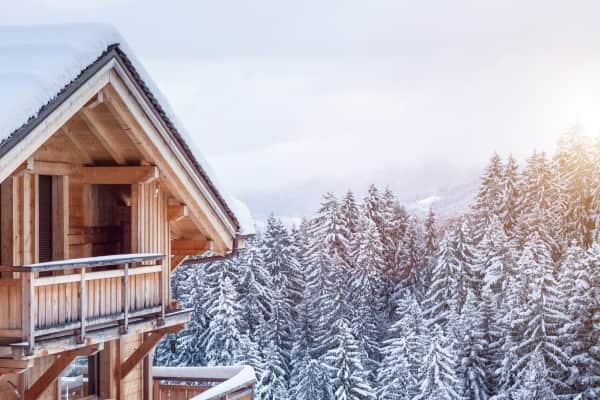 With high quality decor and a sleek and sophisticated finish, these brand new apartments offer comfort, convenience and great proximity to the slopes while also boasting some amazing facilities. 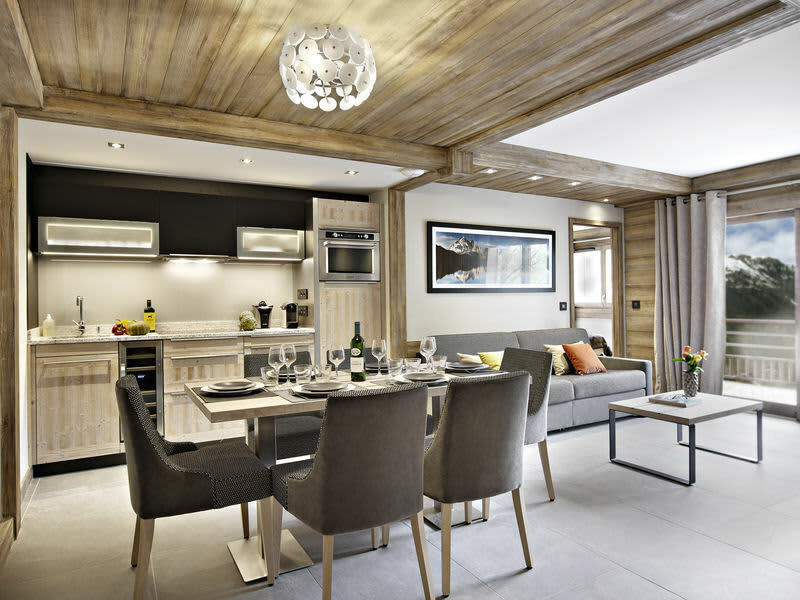 Apartments themselves are comfortable, modern and spacious and come fully equipped with everything that you need to enjoy a comfortable stay. 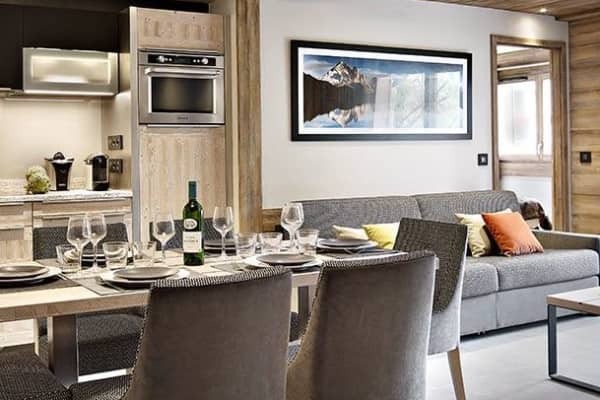 High quality extras are also included such as a wine fridge, a Nespresso coffee machine and a filter coffee machine. 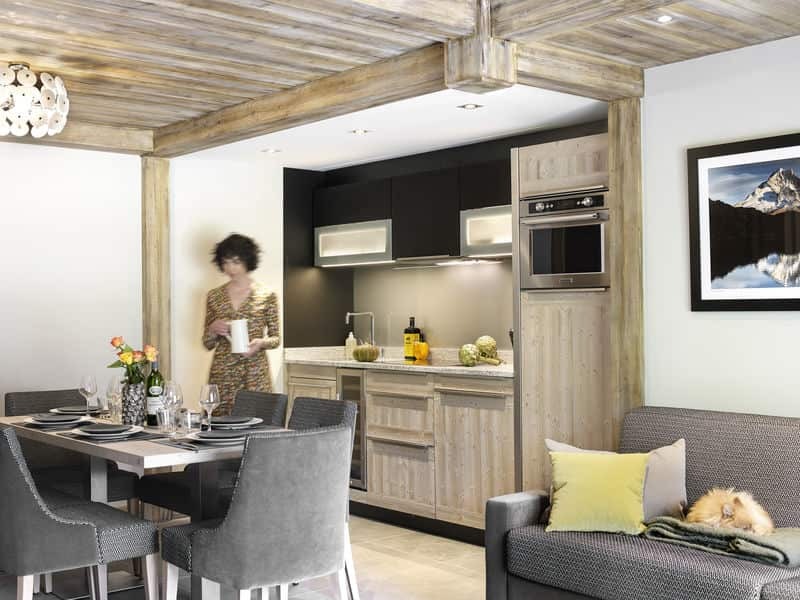 There is WiFi available in all apartments, a TV with international channels and for extra comfort and coziness, guests are provided with bathrobes and slippers for lounging around their apartments. 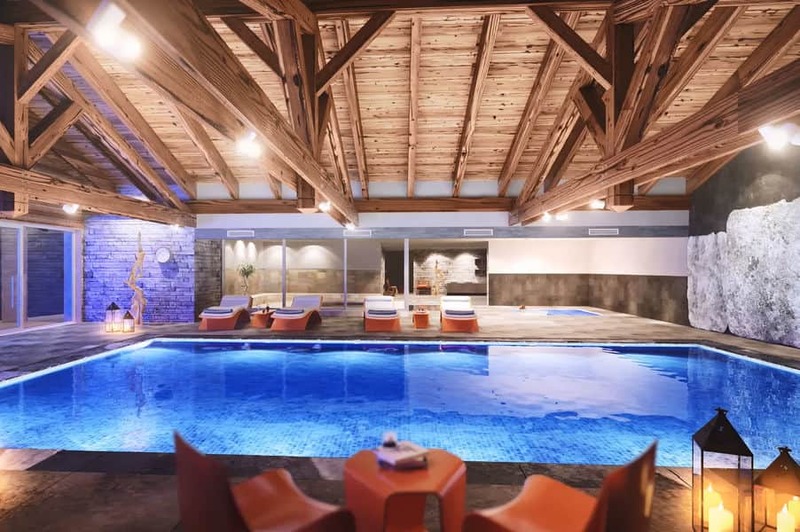 Guests will also benefit from the use of the heated indoor swimming pool as well as a kids pool- the perfect way to relax after having spent some time on the slopes. 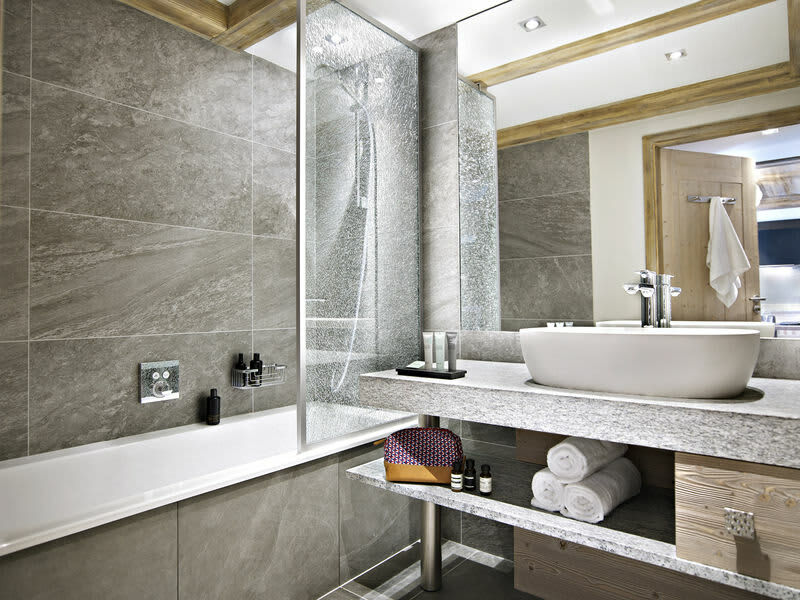 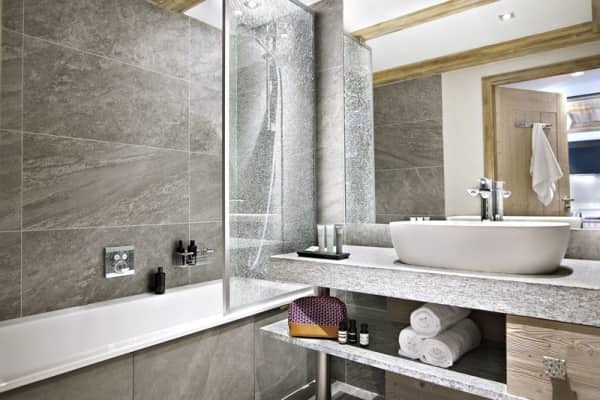 There is also a sauna, hammam, hot tub and fitness room available for guests to take advantage of during their stay. 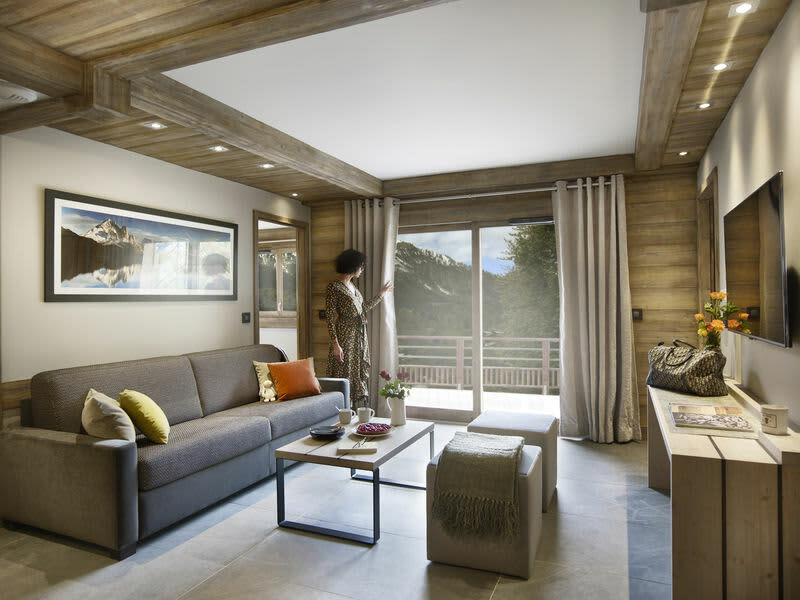 And if you simply want to chill out, the large reception area offers comfortable seating and a large fireplace to relax in before or after the days activities. 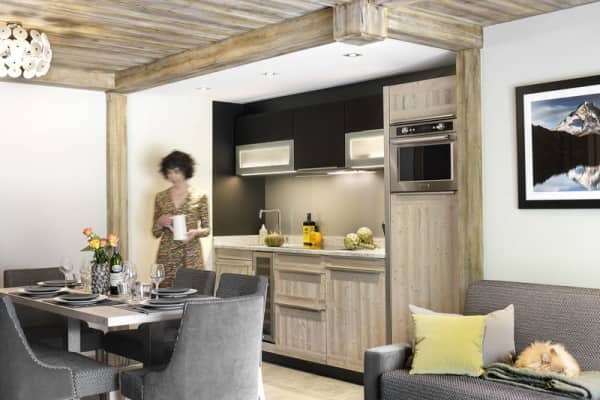 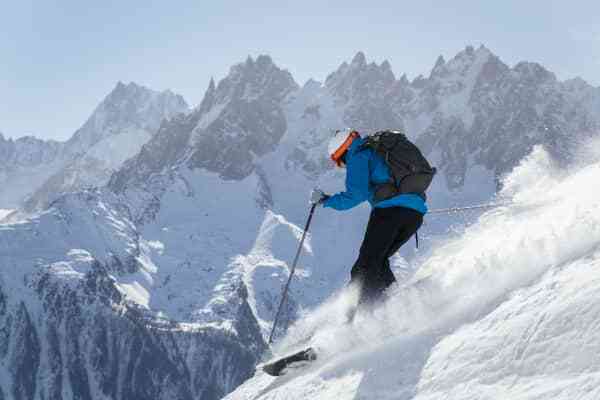 In the heart of the Mont Blanc Valley, with great access to the ski area of Les Houches/ Saint- Gervais and right next to the cable car.